I didn't get out fishing this weekend (although I was keeping an eye on the Wye water levels, depressing viewing), so this afternoon I headed out for a couple of hours rolling. 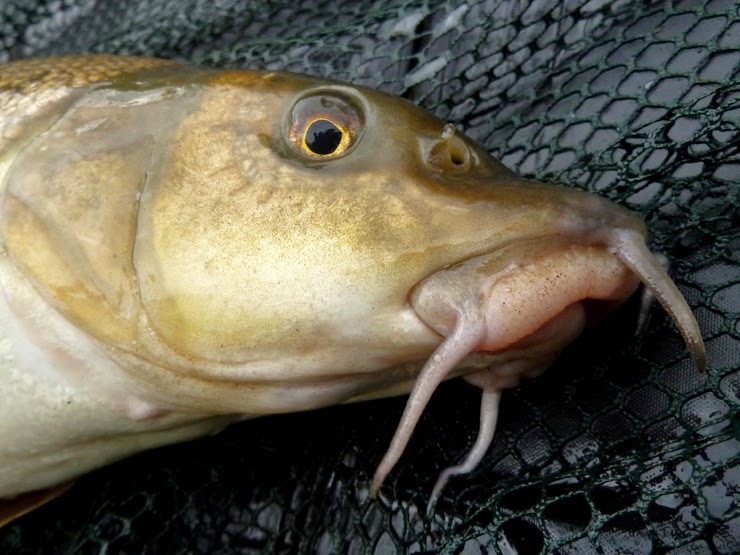 Really hoping to take my barbel tally up to 50 fish. I spotted a good fish in the water and quickly set the gear up, once I was ready the barbel had vanished. 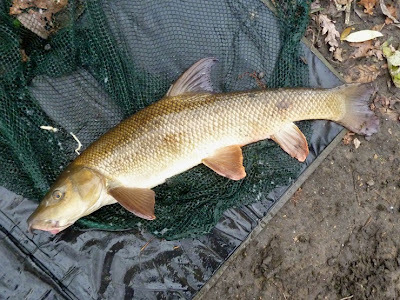 A roll through anyway - nothing - then as I wound the bait in the barbel followed it. I stopped winding and after a couple of seconds thought - nailed it. Third time I've had one chase the bait upstream. And this 5lb barbel chipped me over my target... Fifty, brilliant! They may not all be monsters but it's been great getting into the fish with such limited time this year. 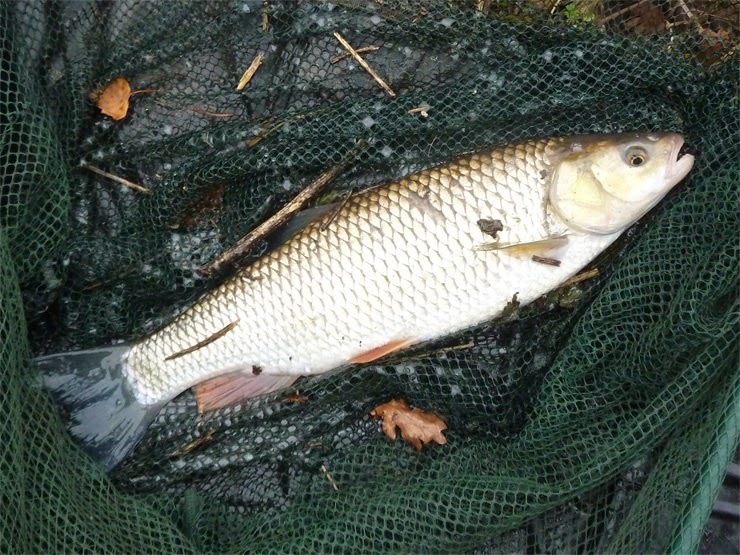 And with an hour or so left I added a 4lb 1oz barbel (above) and a chub to my afternoon. Great stuff! That's probably it until after Christmas so I'd like to take this opportunity to wish everyone in blog-land Merry Christmas. Cracking looking Pike those Bri !!. 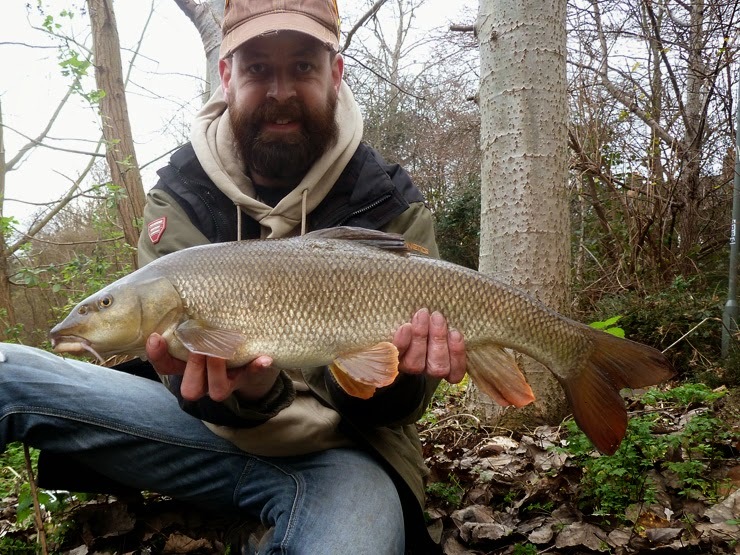 Only kidding, doing very well with those Barbel mate, rolling is deadly when the fish are as obliging as they are at the moment. Cheers James, I agree they are funny looking pike. The Wye looks pretty horrible from the water levels and webcams, but if I can get to it I'm sure I'll give it a blast. Other than that a mate has found a nice pike lake in easy driving distance - so fingers crossed we'll find an esox at some stage over Christmas. Nice fish. 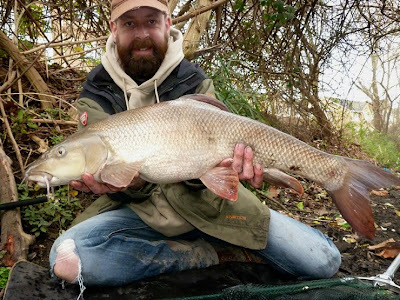 Sure that barbel was a fun catch. Cheers Scott. Great fight on a light lure rod, they all fight like mad on that set up. I'm from north America and never seen one of these very interesting fish. Almost looks like its part of the carp family.